Hip Hop Culture is a reverberation of centuries-long resistance to oppression by Black and Brown people in the Americas. Born in the Bronx from meager beginnings; emerging from the ghetto streets plagued by poverty and violence, Hip Hop is now a medium that empowers people across the globe. However, the Hip Hop Industry and, to some degree, the world of Hip-Hop Education are no longer held accountable to the people. 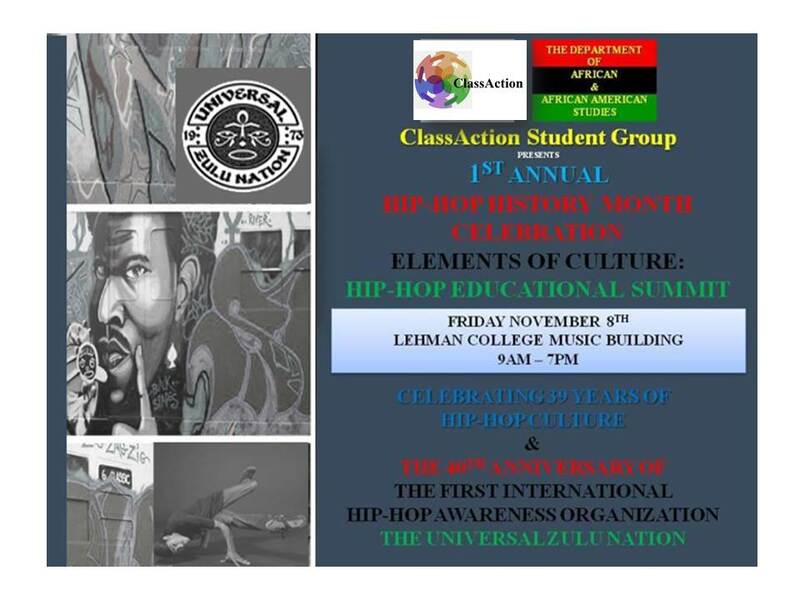 The 1st Annual Hip-Hop History Month Celebration: Elements of Culture Hip-Hop Educational Summit seeks to reconnect the most influential parts of Hip Hop with the streets it was born from. Click here to attend the event!